Last week I sat on a mountain ridge overlooking the city of Duhok, snacking on curry-dusted broad beans and talking work and politics and culture for hours with a Kurdish friend I’ve known for four years. Located in the far north of the Kurdistan Autonomous Region of Iraq, Duhok Governorate hasn’t seen conflict in over two decades. Since the outbreak of the war in Syria it has hosted many thousands of refugees, including those in Domiz Camp where I worked with MSF in 2012 and 2013. In 2015 and 2016 many of these refugees, as well as a number of locals, made their way abroad and others are planning to do so in the coming months. Da’esh is simply the Arabic acronym for ISIS. The meaning is exactly the same, but in Arabic acronyms are very rarely used and in this case it is largely the reduction from a grandiose name to an ugly acronym that the group’s members dislike. You can read a detailed explanation here: “Decoding Daesh”. The number eleven in Arabic is officially أحدعشر but commonly pronounced حدعش or hda’ash, which sounds very similar to داعش (da’esh) when spoken quickly. 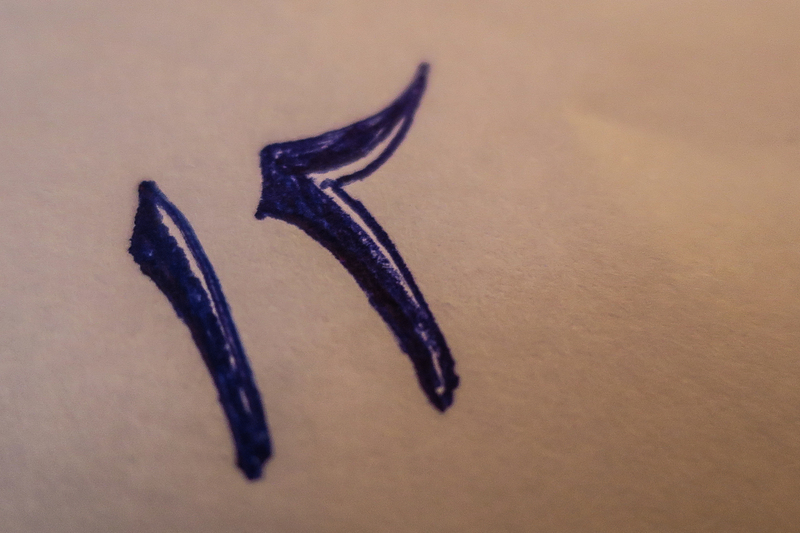 The number twelve is commonly pronounced ثنعش or thna’ash.